Dan Sanford transitioned from Managing Director to his current role as Senior Advisor at Synergy Advisors, LLC in 2017. His career spans over 35 years of diverse transaction experience with public & private companies, emerging growth and family-owned & founder-operated businesses. He has originated / executed 100+ transactions, both as agent and principal, totaling over $6 billion. Dan’s investment banking and corporate finance skills set includes: buy-side & sell-side transactions, financial advisory assignments, mergers & divestitures, buyouts & recapitalizations, fairness opinions & valuations, and structured debt & equity financings. He has extensive background with companies across a wide range of industry sectors, including: branded consumer products & industrial services, specialty retail, restaurants & food service, manufacturing, distribution, medical devices, healthcare services, energy and real estate. Before joining Synergy Advisors, Dan was a Principal at NewCap Partners, Inc., a Los Angeles based private investment bank, where for 12 years he led their regional investment banking practice from its Orange County office. Before NewCap Partners, Dan was a Managing Director of Investment Banking at Wells Fargo Securities and previously was a Managing Director of Investment Banking at Wedbush Securities. Dan spent 13 years at Citi (Citigroup) as Senior Banker responsible for West Coast middle-market corporate clients, where he executed various structured debt and private equity financings and also originated financial advisory assignments. At Citi, Dan also led a real estate swat team focused on unwinding and restructuring distressed financial transactions involving various asset-class properties owned by Citi corporate real estate clients. Prior to Citi, Dan was a Principal at C&K Partners Inc., a Los Angeles based private equity firm. 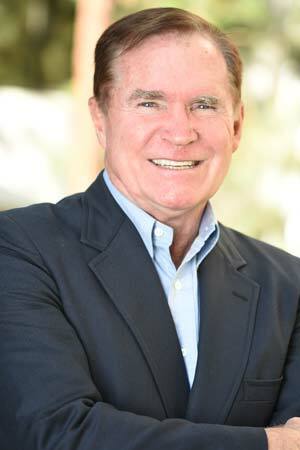 He began his investment banking career at the Los Angeles based firm of Bateman Eichler, Hill Richards Inc. Dan launched his business career in corporate banking during the mid 1970’s. He was Vice President & Manager of the Western Energy group at Security Pacific National Bank. Dan received his M.B.A. degree from California State-Fullerton University, with a concentration in Finance. He also holds a B.A. degree in English Literature from the University of Southern California.